Welcome to Bristol Community Big Band! 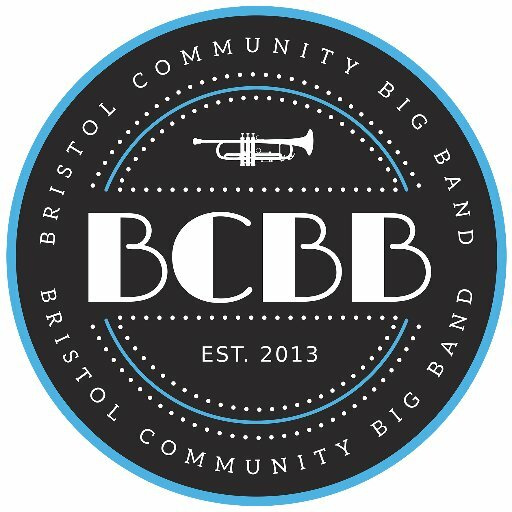 Hello and Welcome to The Bristol Community Big Band’s website! The Bristol Community Big Band is an energetic local ensemble that plays a wide repertoire of swing, jazz, blues and Latin big band classics in festivals and gigs around the Bristol and Somerset area. Made up of non-professional musicians from all over 20 postcodes, we are a fun-loving and inclusive group who nevertheless work hard to be the best standard we can, and bring our joy of swing music to communities around Bristol. Our conductor, Jonny Bruce, is known throughout the country as an outstanding trumpet player, as well as being extremely passionate about bringing big band music to the forefront of the Bristol jazz and blues scene. We also love to collaborate with local musicians – be they guest conductors, soloists, arrangers, singers or groups – drawing from Bristol’s rich jazz scene to offer our members the best opportunities to play and learn, and create exciting music projects around Bristol. We rehearse once a week at St Paul’s Church, Coronation Road, Bristol, BS3 1AN from 7.30pm – 9.30pm every Wednesday and and gig two or three times a term in and around Bristol. If you’re interested in collaborating with the band or booking us for a gig, please get in touch here! We are an open, non-audition group and anyone can come along and play with us. We play at around Grade 4 or 5 ABRSM standard, but if you’ve never done exams and can read music, we won’t stop you! We are currently at capacity for Saxophonists, but if you are a Trumpeter or a Trombonist please do get in touch. Contact us at Members@bcbb.co.uk if you’re interested in joining us!